The two volumes contain a broad selection from 200 years of music. Eight Baroque sonatas are included, apart from the famous D minor one by Corelli, some appear in a modern edition for the first time. 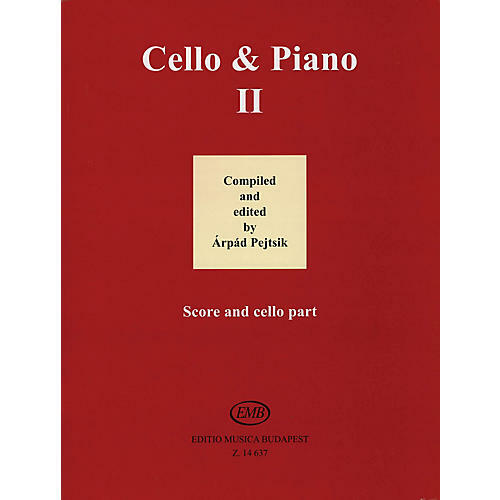 In addition to cyclical works (Haydn: Sonatina, Mozart: Divertimento, Vivaldi: Concerto) and sets of variations (Beethoven, Tartini), there are many shorter pieces as well, not only the famous minuets by Boccherini, Mozart and Beethoven but also works published for the first time here. Virtuoso pieces are represented by Goltermann's Etude-caprice and Jenkinson's Dance of the sylphids, the lighter kind include Joplin's Ragtime.